Early in 2006, in an era before iPhones, Carbon began a design study imagining how mobile interfaces might evolve when users are seeking to accomplish increasingly complex tasks, but with limited screen real estate. A chance meeting with the creator of T9 text entry, Martin King, and the renaissance of command line interfaces such as Yubnub, Google search, chatbots and Twitter’s SMS commands, led us to speculate that many mobile tasks could be accomplished with natural language text commands. 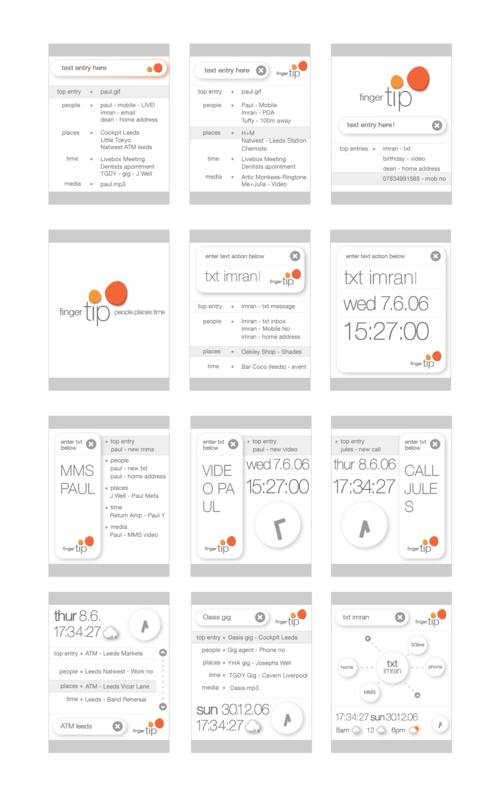 Our research led to the publication of Fingertip, a series of graphical and video use cases that illustrated how sending messages, placing calls, recording video, setting alarms and listening to music could all be expressed as simple command lines.